The broken hearted, prisoner, the beaten down and the homeless are all around us, especially more so with these past several years due to the world shaken of the economy. 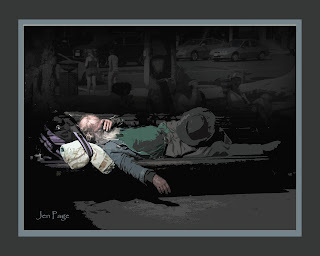 In my recent move to a new county, I have seen more homeless where I live, as before I was living in a more gang territory that also had homeless in the mix. God loves and reaches out to them all. Sometimes I think I don’t know how to help them, expect give in their need and pray for them. I feel at a loss as to what to do, but I’m reminded that God is there, and he will work through my faith, He will go as far as my faith will take me, and He is there with them as well, taking them as far as their faith will take them while also waiting for them to seek him, as He will be easily found by them for his Love is great for them. I have witnessed to both group types and find that they just want to be loved. ~Being Jesus to them. ~ Showing them kindness, offering a prayer to them, or directing them to a place of hope that they can plant their feet in. I know of a few people in my life that were once homeless such as my husband before I met him,to my parents before they had me, and yet because of words of encouragement by those who walked in love, and sharing God's love to them, it planted a seed towards there destiny. One powerful Testimony I have heard to date is from my Pastor Rob Deluca. He was Homeless as a Teenager, and someone shared the gospel to him. He got saved, while still being homeless a little while longer after that, but He began His relationship with God, getting discipleship and Believing and practicing the word of God as God brought him out off the streets and into a blessed living today. My brother in law ~ Daniel was in prison and he was supposed to get out in 2023, but He died young of a heart attack last year 2011 at the age of 26 yrs while in prison. 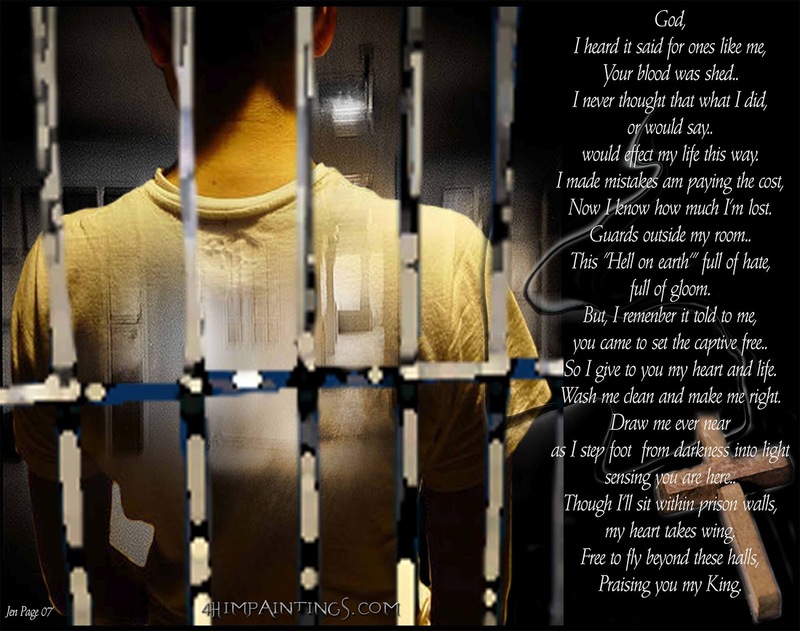 When he first went to prison, we visited him a few times, and was lead to write him, I sent him words of hope and pictures that he loved of both family and the art work as I was reaching out God’s love to him praying that one day he’d come to know Jesus as His Lord and savior. In one letter he sent to me, He said that he shared the Art pictures with other guys in prison as it gave them hope, and He said that he wept at one I sent him. 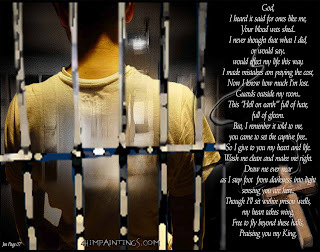 I cried thinking, I haven’t done enough, I could have done more, I could have written to him more or prayed more for him and the rest of the guys in prison. I know that before He died, he shared with my husband that He was praying more as He also saw changes in him. God was already doing something in the life of my brother. And though I don’t know for sure where he is now, my heart can rest in peace in the thought of him being with Jesus in heaven as my husband and I both could feel that there was a positive change in him And my husband sending his last letter to him on the steps of salvation and God’s love for him. We knew He read the love letter. 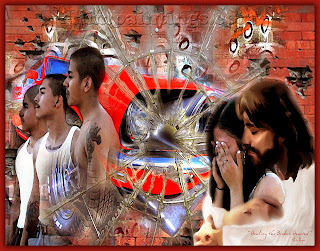 Daniel my brother was a gang member, He had it rough in life growing up in a broken home, but His life didn’t defy his end as his end has only just started because He is now in Heaven with the King who loves and forgives him. 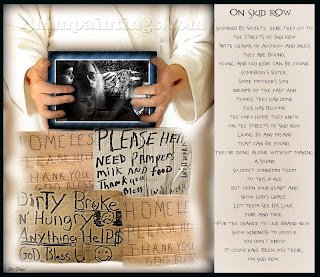 ~Learning to Love like Jesus means also being selfless and reaching out to a broken society. Loves covers a multitude of sins. Love changes things. In wherever you live, ask God how you can help to the least of these as He says, when you do it to the least of these, you do so to me. The poems were written by my Mom, as I love and honor her. Young and old here can be found. Somebody’s sister, some mother’s son. But open your heart and show God’s Grace. Let them see His Love, pure and true. For the chance to live brand new. would affect my life this way. Now I know how much I’m lost. This “Hell on earth” Full of hate, full of gloom. You came to set the captives free. So I give to you my heart and life. Wash me clean and make me right. Mary Mary-Can’t give up now.